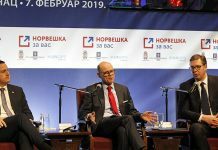 The signing ceremony of the Partnership Agreement between the Council of Europe and the Standing Conference of Towns and Municipalities took place today, 20 February 2019 in Belgrade, Serbia. 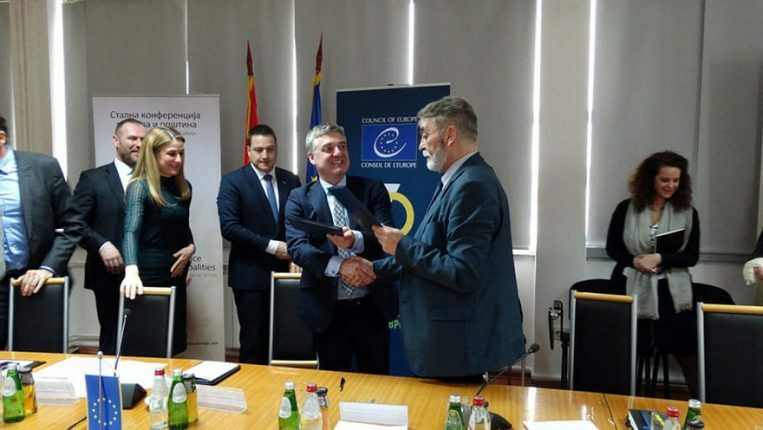 The Partnership Agreement was signed in the framework of the joint project “Human Resources Management in Local Self-Government – phase 2”, financed by the European Union and the Council of Europe, and implemented by Council of Europe in partnership with the Standing Conference of Towns and Municipalities and Ministry of Public Administration and Local Self-Government. 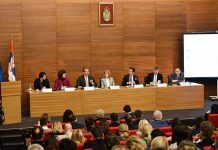 The ceremony was hosted by the Standing Conference of Towns and Municipalities and attended by the Minister of Public Administration and Local Self-Government, Mr Branko Ružić, the Head of the Council of Europe Office in Belgrade, Mr Tobias Flessenkemper, the Secretary-General of the Standing Conference of Towns and Municipalities, Mr Đorđe Staničić, the President of the Standing Conference of Towns and Municipalities, Ms Dušanka Golubović, as well as 20 Mayors of Serbian local self-government units. Amounting to almost 750.000 Euros, the Partnership Agreement will be implemented during the next 34 months and will lead to a more effective training framework for professional development of the local administration and to increased capacities and competencies of local administration for effective human resource management.